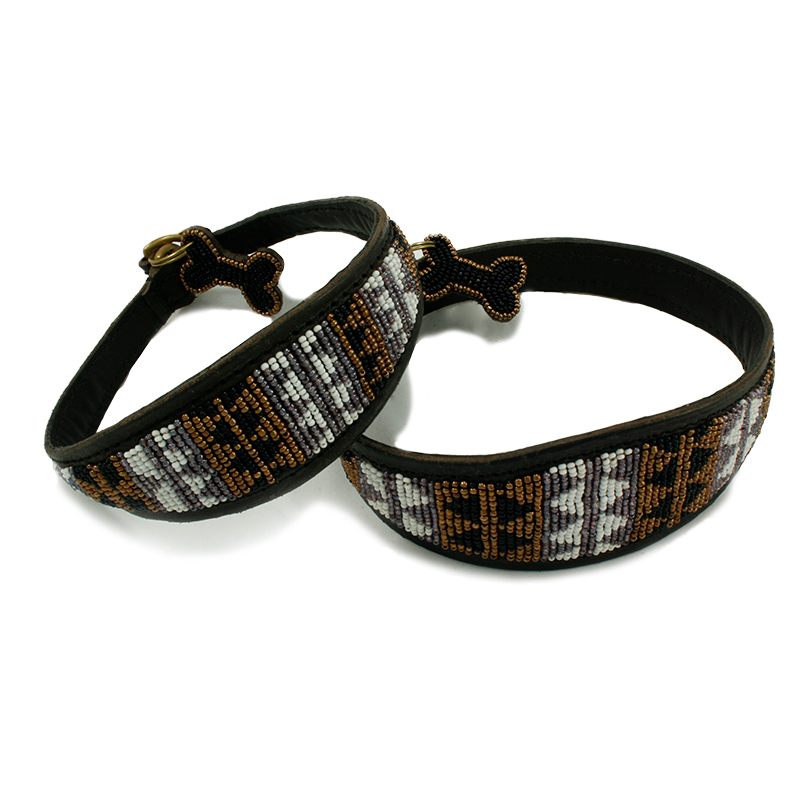 Malulu’s luxury dog collars offer distinct design and exceptional quality. Our passion for this unique ‘dog jewellery’ is inspired by our love for dogs and Africa. 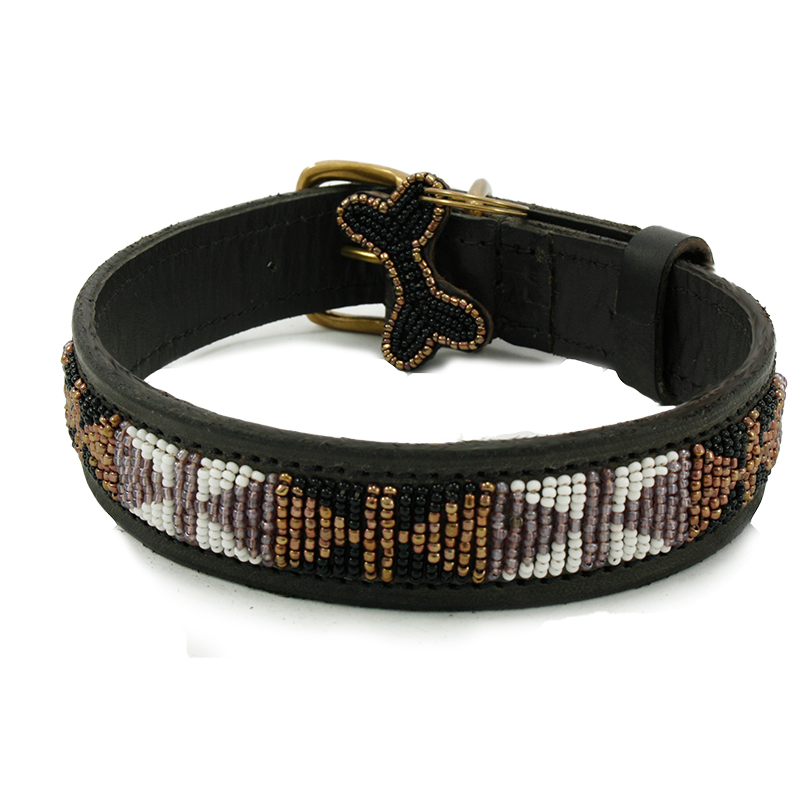 Each collar is beautifully handmade by skilled artisans in Kenya. 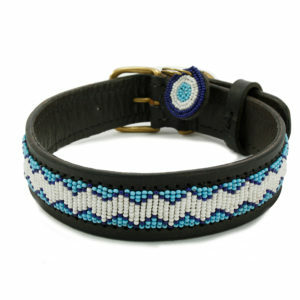 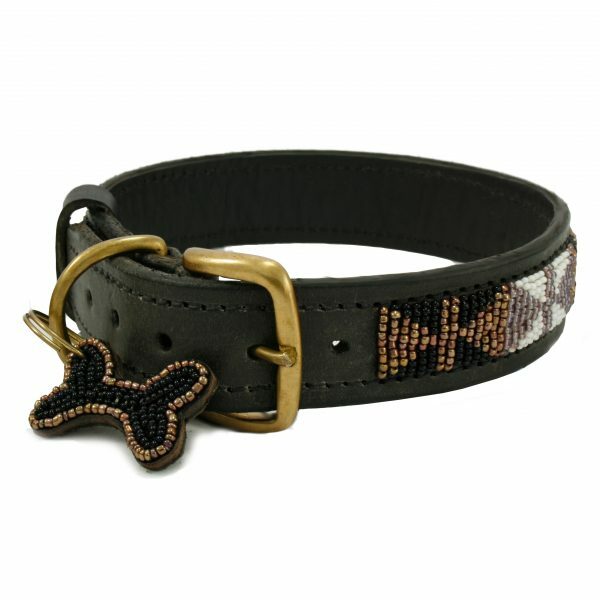 High quality craftsmanship and original patterns make Malulu’s dog collars a cut above the rest. 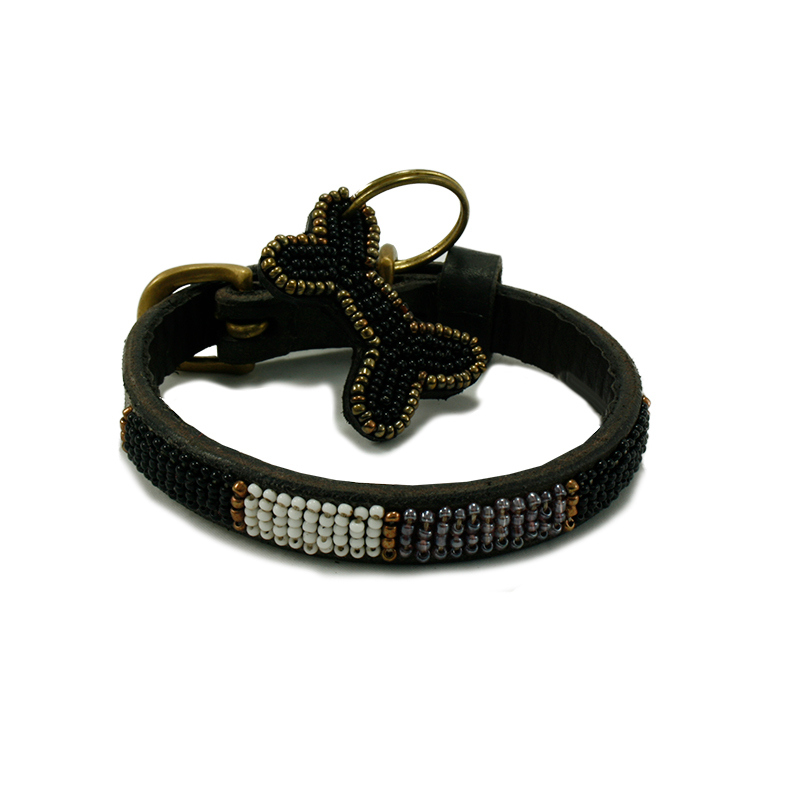 Each glass bead is individually hand sewn onto robust cow leather by skilled artisans in Kenya. 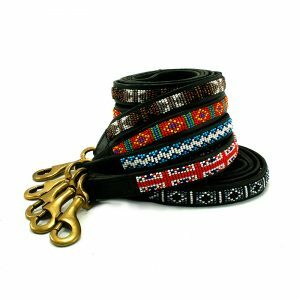 The collars are then lined with softer goat leather and finished with solid brass fastenings, which are hand cast from recycled brass. 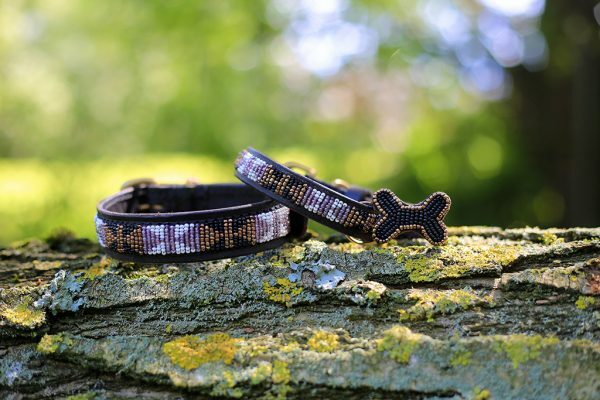 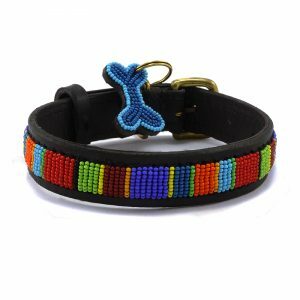 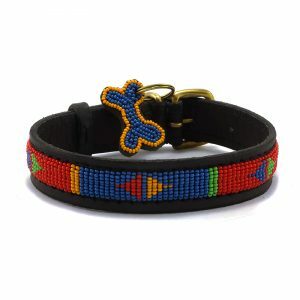 Every dog collar comes with either a beaded ‘disc’ or ‘bone’ charm, depending upon the design, and are available in a variety of sizes and other designs. 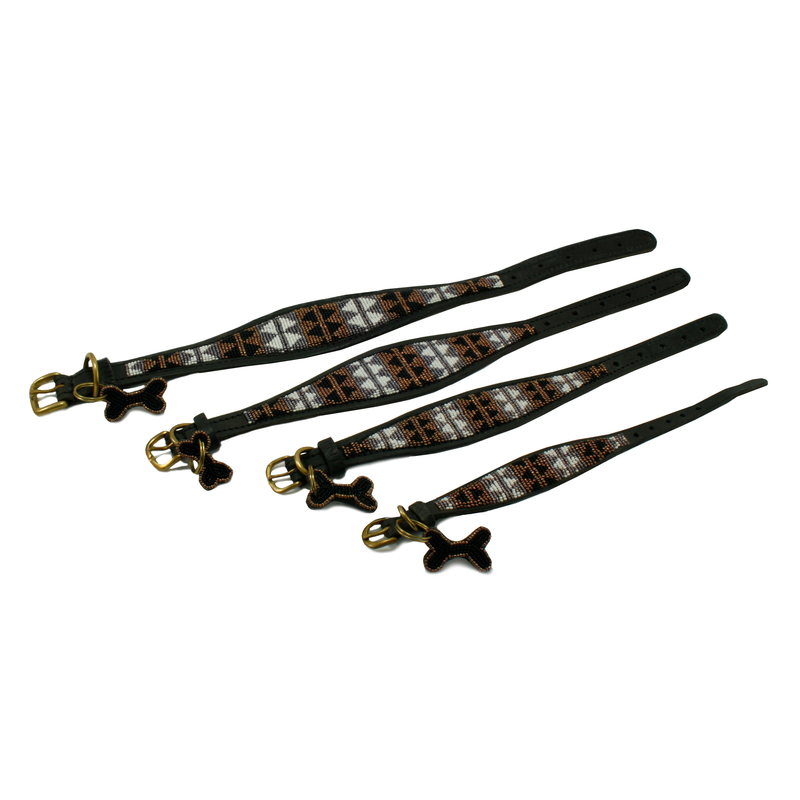 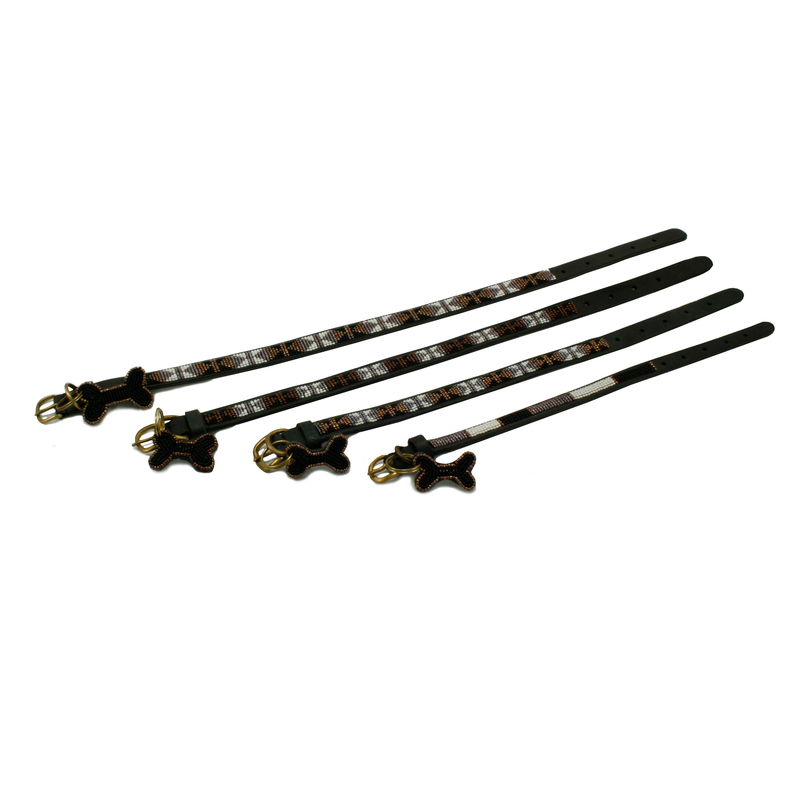 Matching and contrasting Dog Leads are also available. 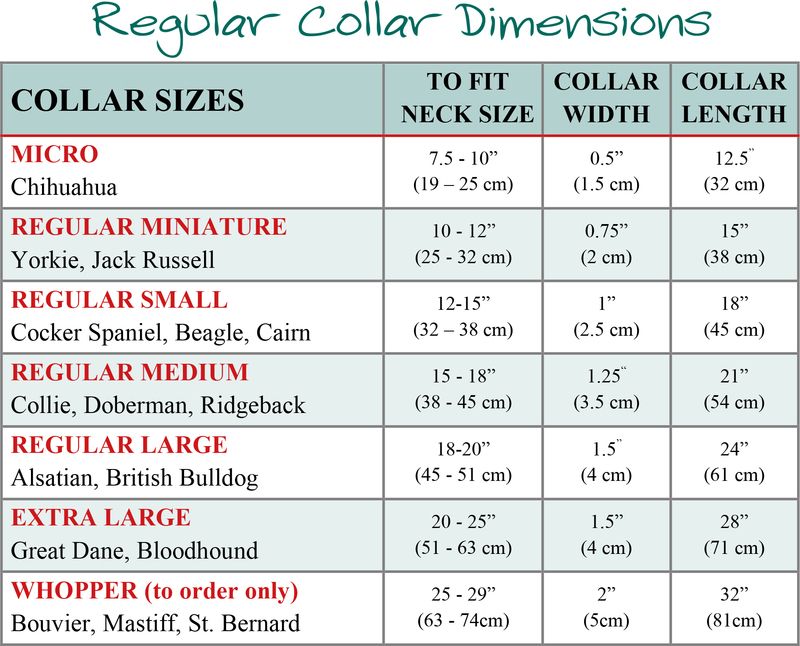 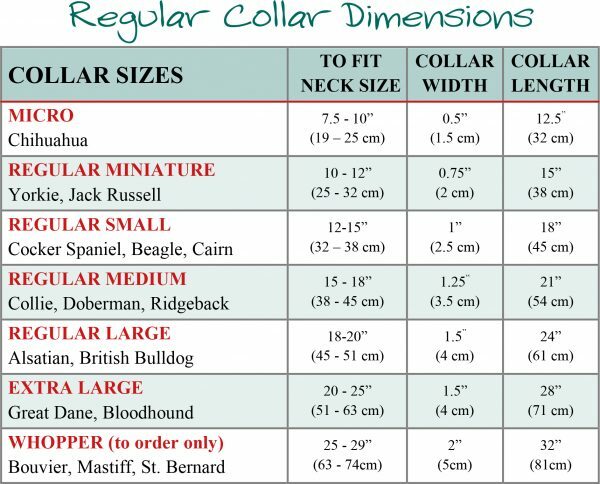 Please note: every dog is different and the breeds listed are only guidelines to help you assess which collar is most suitable for your dog. 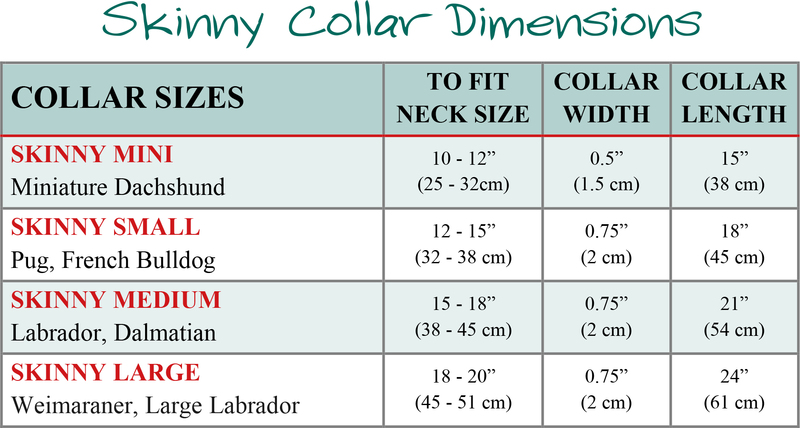 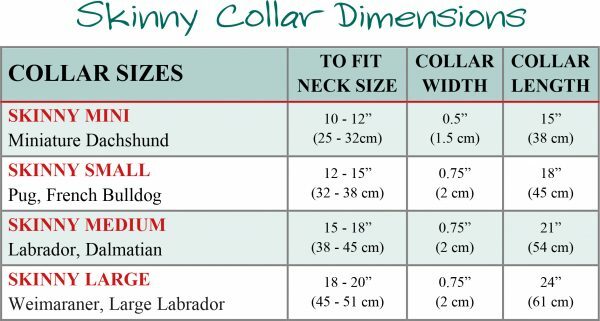 Malulu strongly recommends that you measure your dog’s neck, ensuring two fingers can fit between the collar and their neck so the collar fits comfortably and securely. 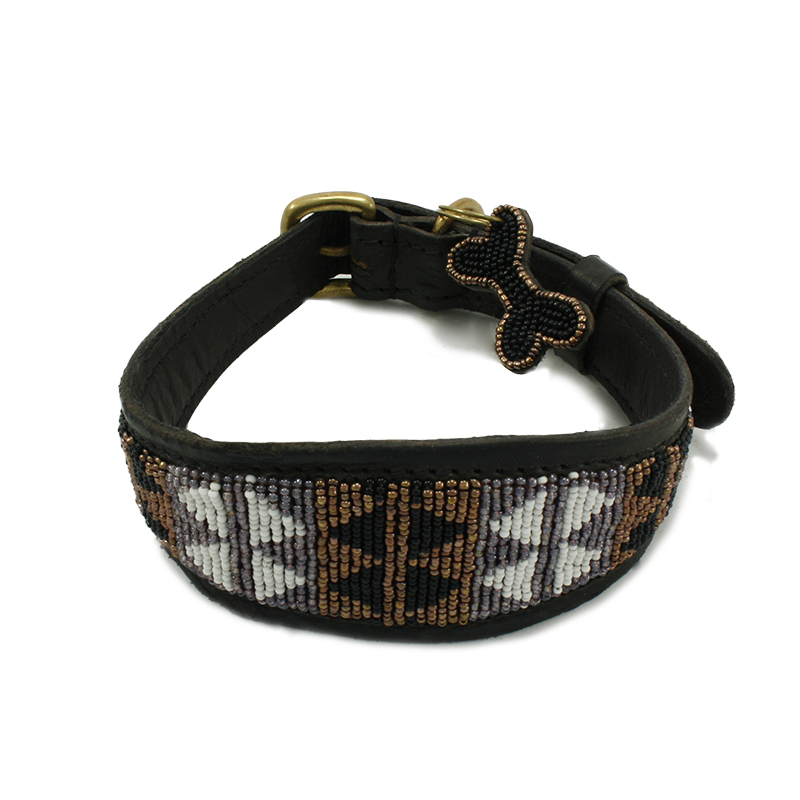 The comfort, safety and design patterns of all Malulu’s collars makes us unique. 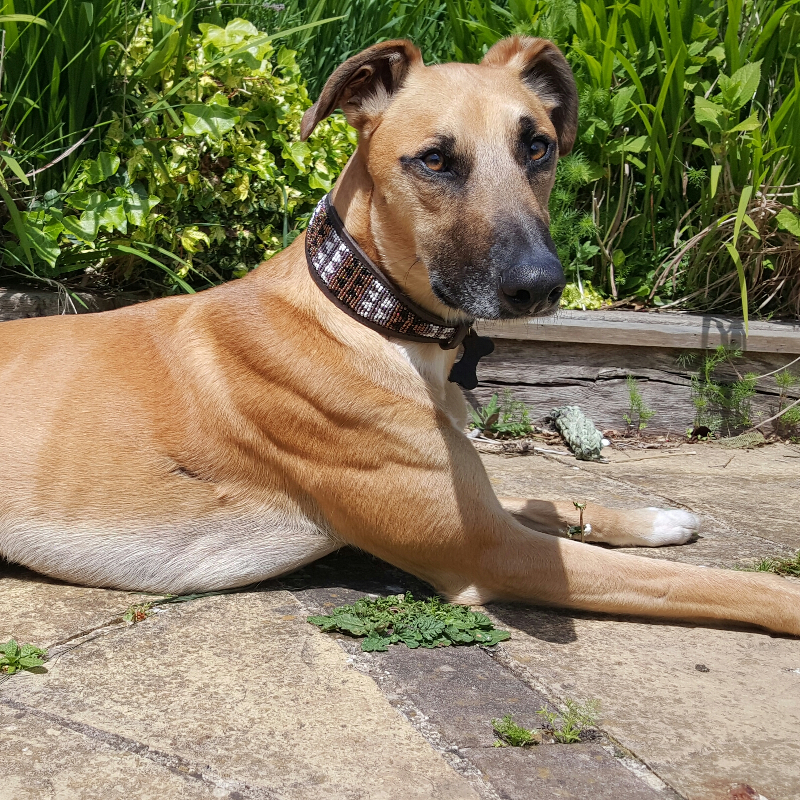 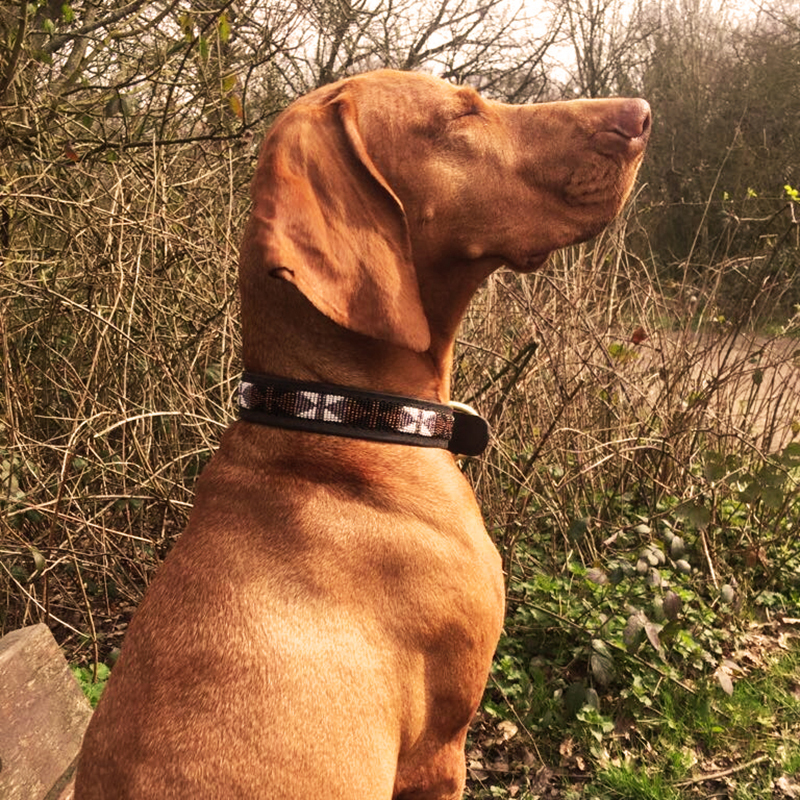 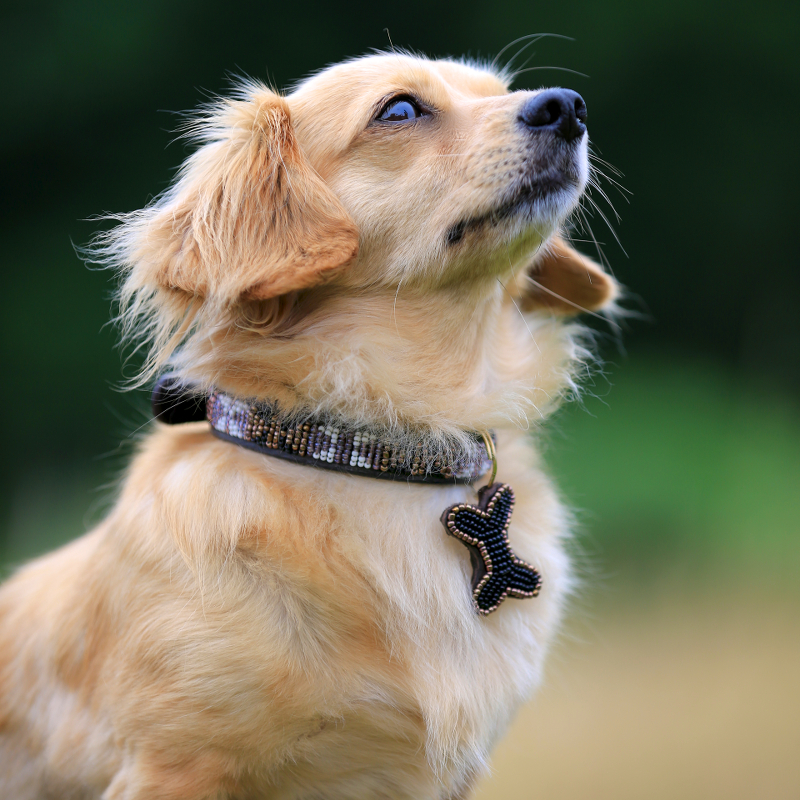 Whatever your dog gets up to, Malulu’s beautiful collars are exceptionally strong and durable. 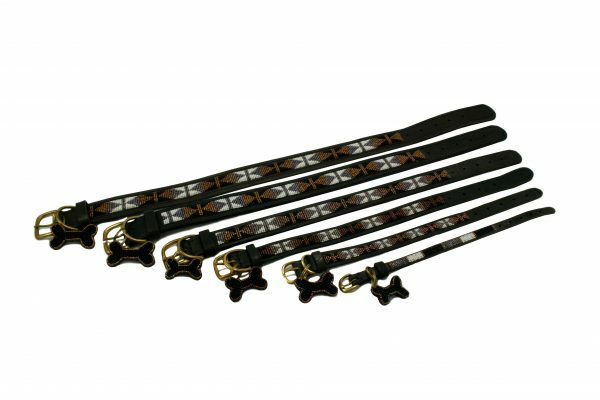 Each size has been rigorously tested and approved by the internationally renowned laboratories at ‘Intertek’.